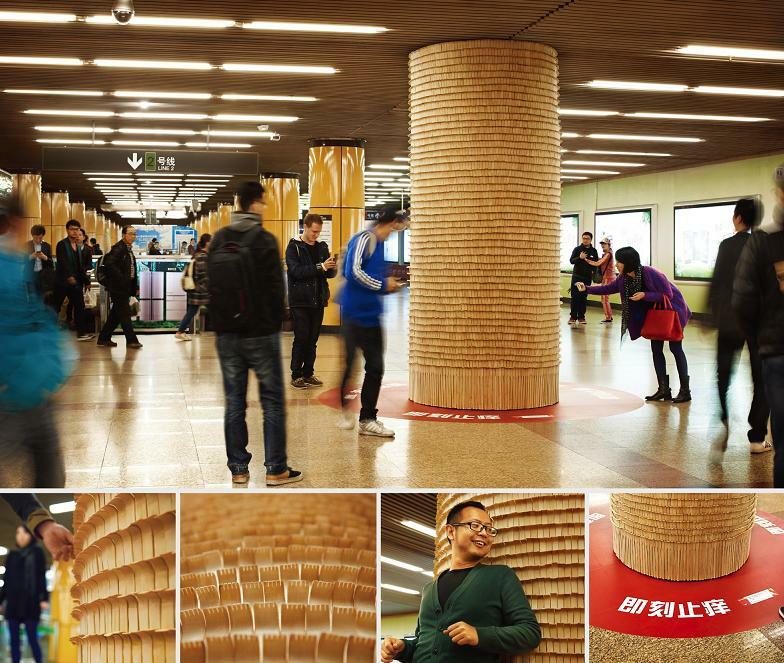 Collection of the Most Creative Ambient Advertisements from all over the world. 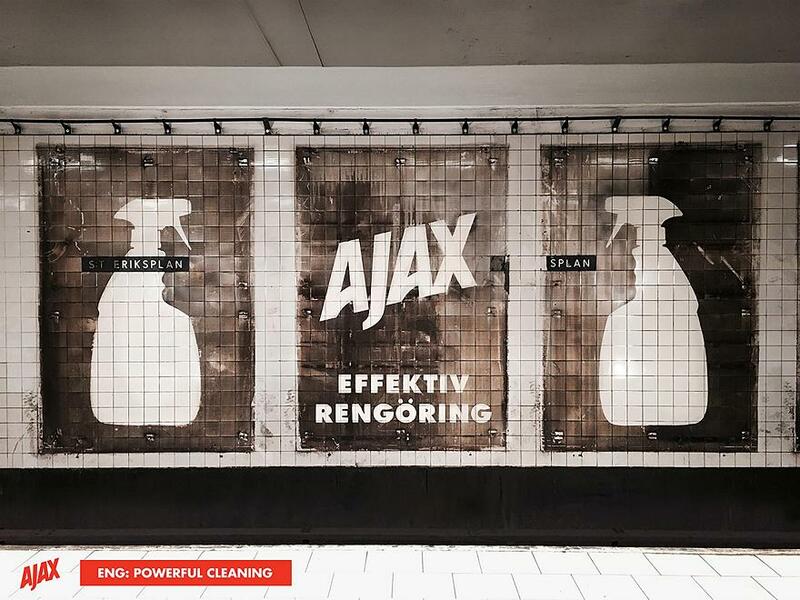 Ajax - Stronger Than Dirt: Ajax a leading cleaning product displayed the effectiveness of its product on the walls of the busy subway station Eriksplan in Stockholm. These old billboards are up since the 60s and behind them decades of dirt accumulated displayed the power of their product. Burger King - The Subway Grill Shelf: Most people are into their books or smartphones during subway journeys; so to get their attention, existing subway luggage shelves were leveraged to create an optical illusion as if the passengers were underneath the grills. Peugeot - When lions drive cars: The sales days of Peugeot were branded as 'Lion Days' and its most iconic asset - the lion was used. Flyers with illusion of a lion driving the car were placed on the windshields on competitive vehicles in 5 cities with a message inviting the driver to 'become a lion'. 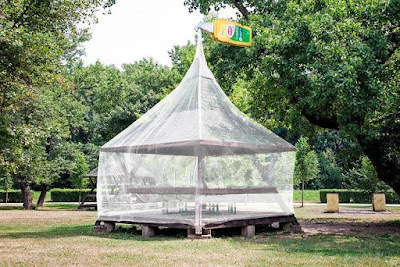 Autan Gazebo: Autan came up with these installations at the favorite picnic sites in Zagreb to display its effectiveness of Autan Spray (bug repellent). ESPNW Inequality Courts: ESPMW wanted to bring the latent inequality between female and male athletes debate to websites, newspapers and more. So they turned different sports courts into gender inequality graphics in sports. 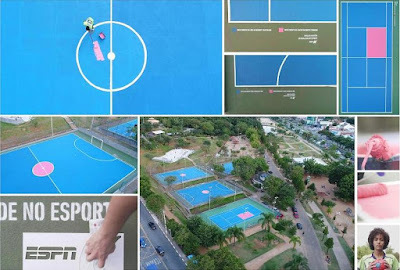 Using the natural divisions found in each sport's court, they painted them blue and a small space pink. And in the corner of the courts, displayed a message highlighting gender inequality in sports. 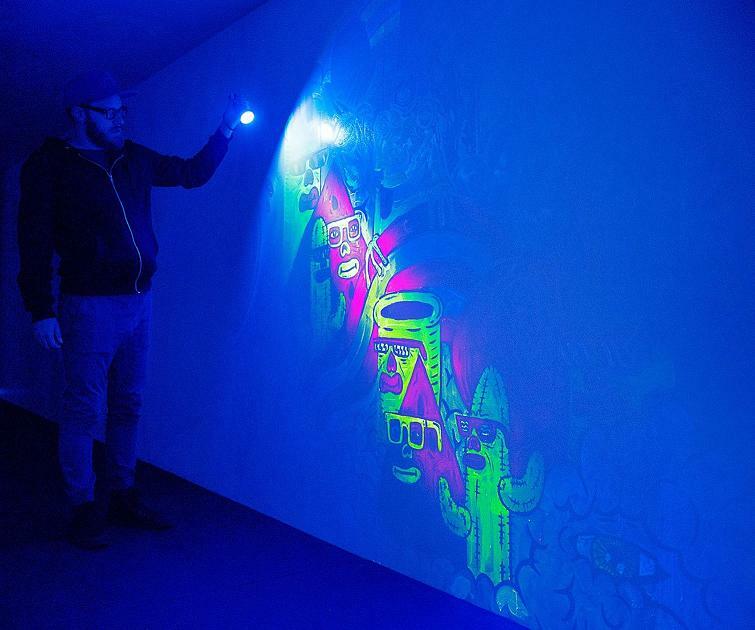 The Gift of Sight: At the Vivid Sydney festival, this invisible art installation gave a new appreciation for sight and letting the visitors know the works undertaken by the organization around the world. 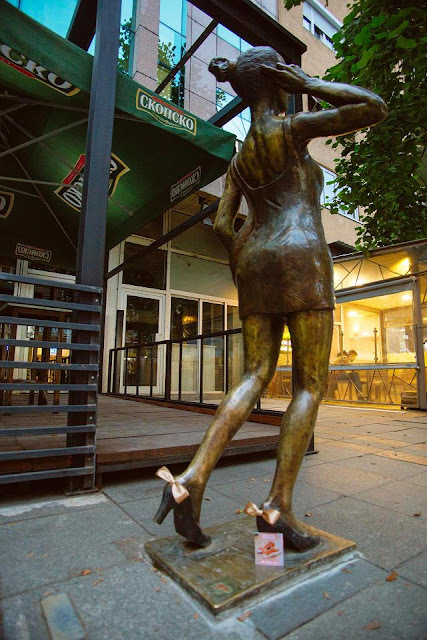 Puma Suede Bow: To promote the Puma Suede Bow, statues in the capital city of Skopje got the signature bow of Puma Suede Bow and a card stating that the shoe has arrived in stores. 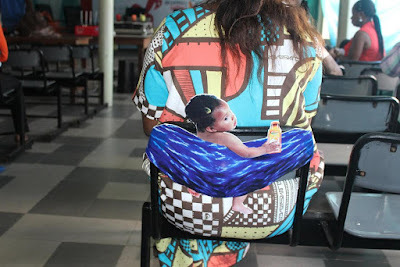 Biosea Backed Baby: The Biosea Backed Baby advertising campaign was created to reinforce the connection between a mom, a baby (holding the product) and the brand. The chairs featured this ambient idea. Audi Snowtagging: Audi came up with this ambient advertising campaign with a caption "Wish you had Quattro." 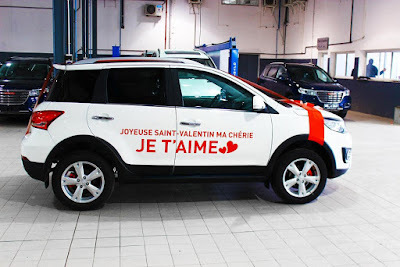 Great Wall Haval 4: A customer accepted the delivery of a car to his spouse one week earlier than the registration date, and Feb 14 was chosen. 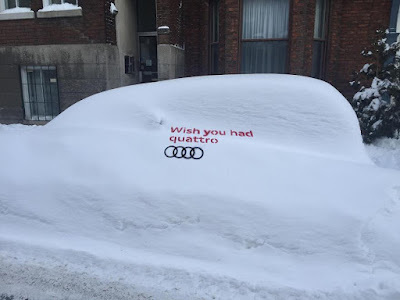 And for this the car was decorated with stickers written in French, and instead of taking the normal 20 km (28 minutes), rush hour was chosen and it took around 2 hours along 60 km. 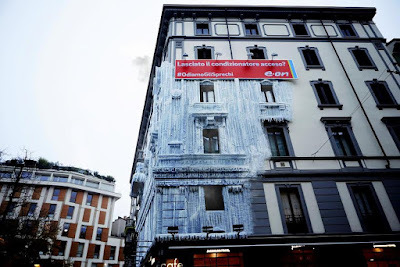 E.ON - Frozen Palace: This innovative campaign is a part of the integrated campaign where a historic building in the prestigious Brera district of Milan appeared completely frozen due to an air conditioner being left on for months. This demonstrated the effect of energy waste while increased the energy company's presence in the country. 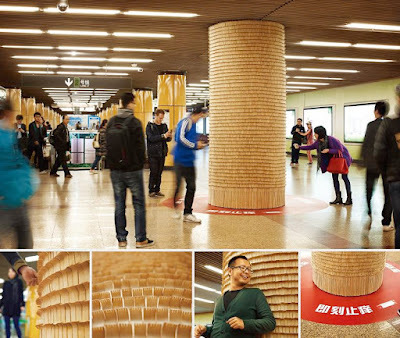 Scratch Pole: Some people in Asia use a simple wooden tool to scratch an itch. 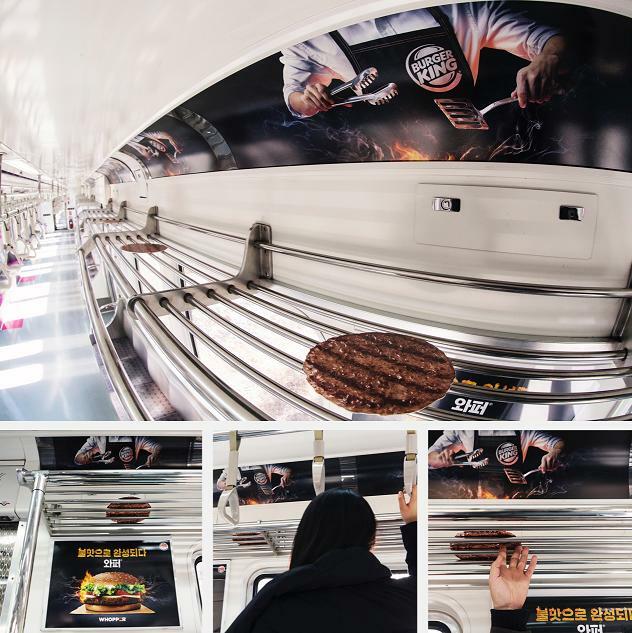 So 7832 to these scratch tools built this large scratch pole and it was placed in a metro station while the passengers were encouraged to use the pole to relieve their itches. And it resulted in 30% increase in the product sale while building the brand's image as an effective and instant solution to irritating itchy skin.